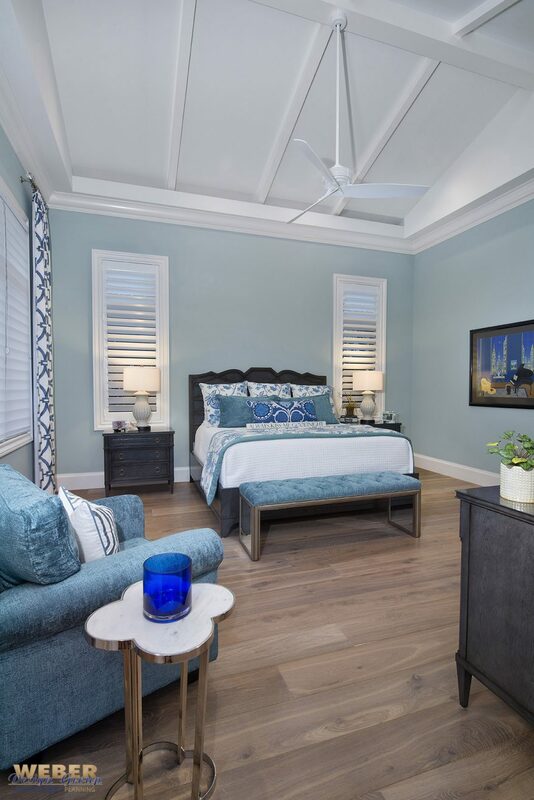 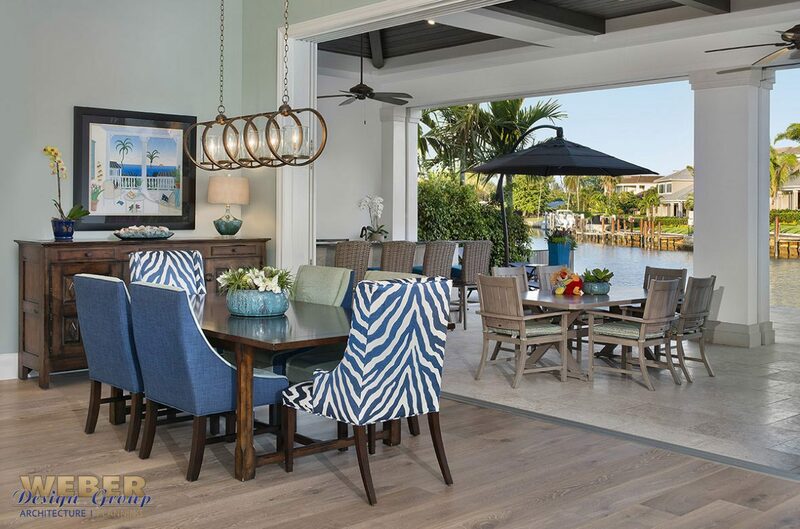 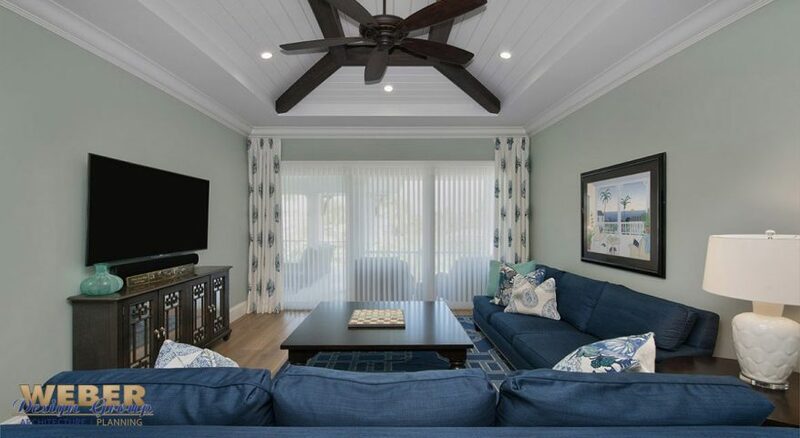 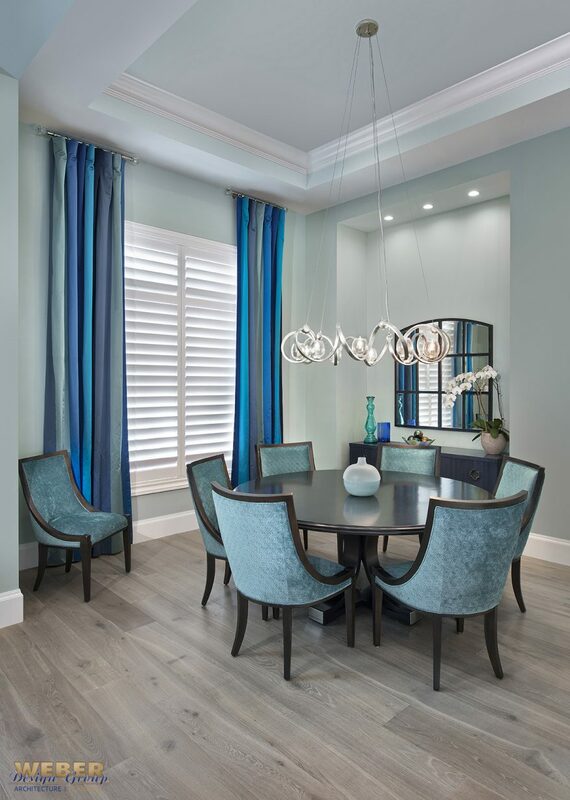 This transitional West Indies style features just-under 4,600 square feet of living space. 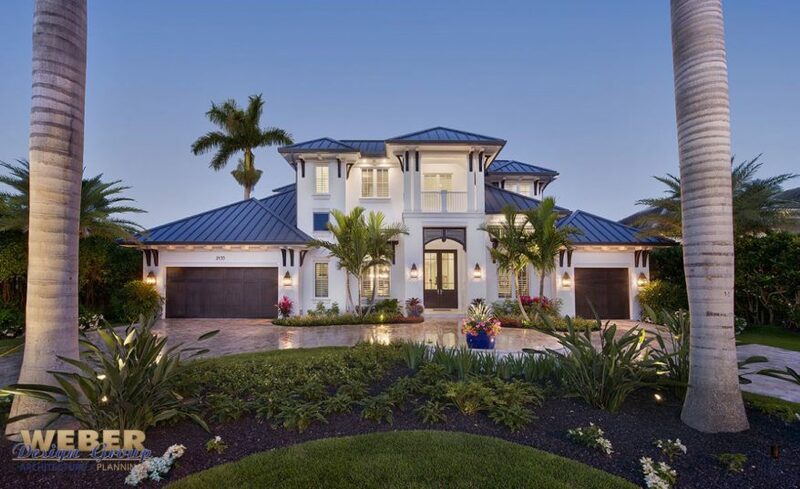 The exterior façade has a fresh-white smooth stucco finish accented by understated Caribbean embellishments such as a metal roof, decorative brackets, and Bahama shutters. 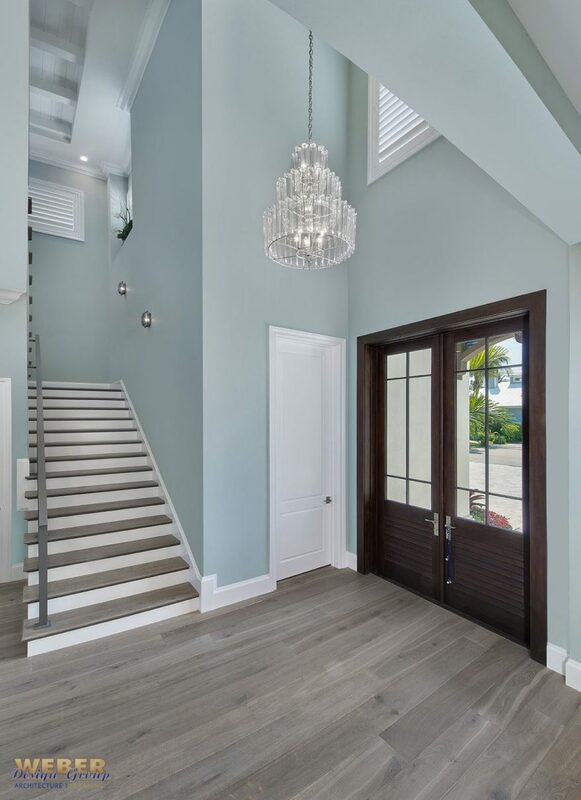 A generous number of windows let in plenty of natural light, and a front covered balcony on the second floor overlooks an inviting entry where glass double doors are flanked by two large windows. 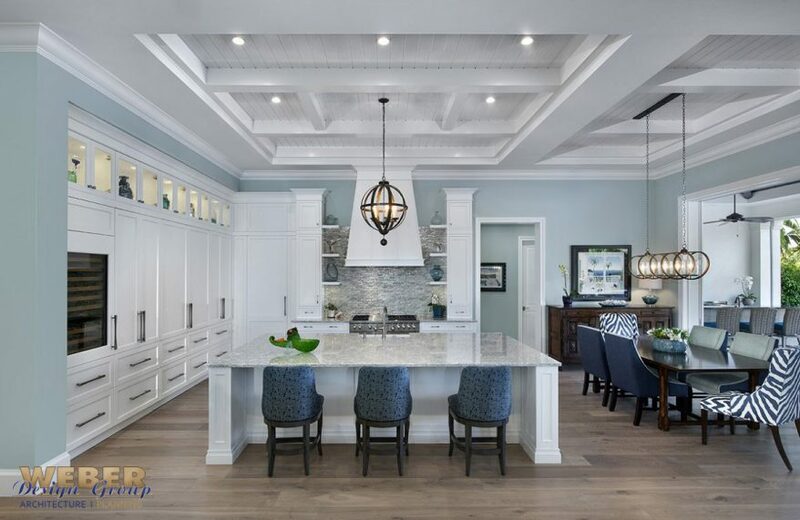 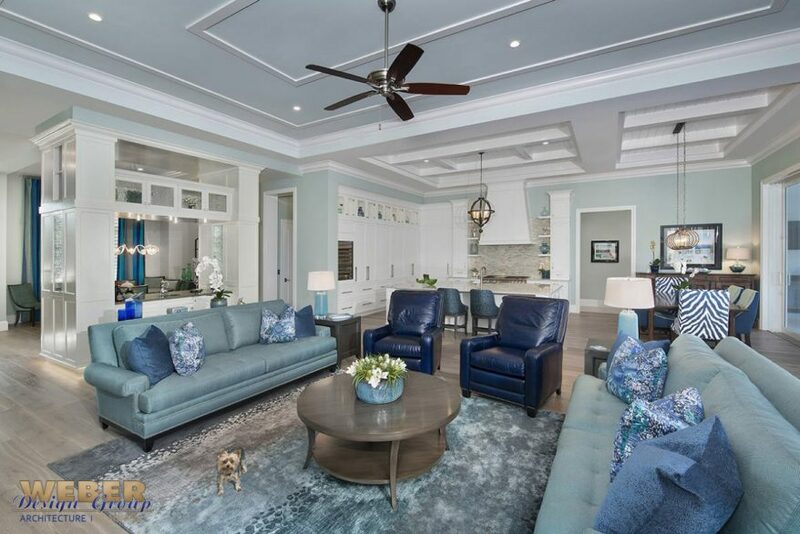 Inside, from the foyer, the eye is immediately drawn to the spectacular waterfront view through a 32-foot wall of sliding glass that separates the open layout of the great room and island-kitchen from the covered lanai beyond. 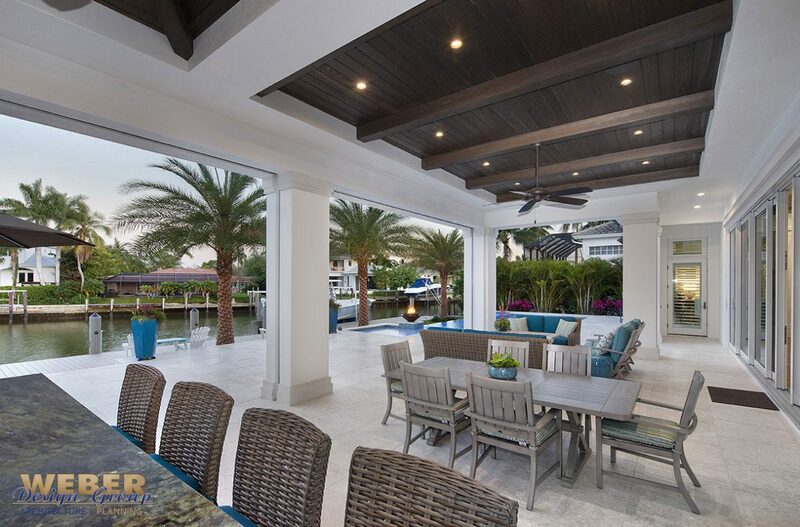 Pocketing the doors provides a seamless opening for an indoor-outdoor entertaining experience. 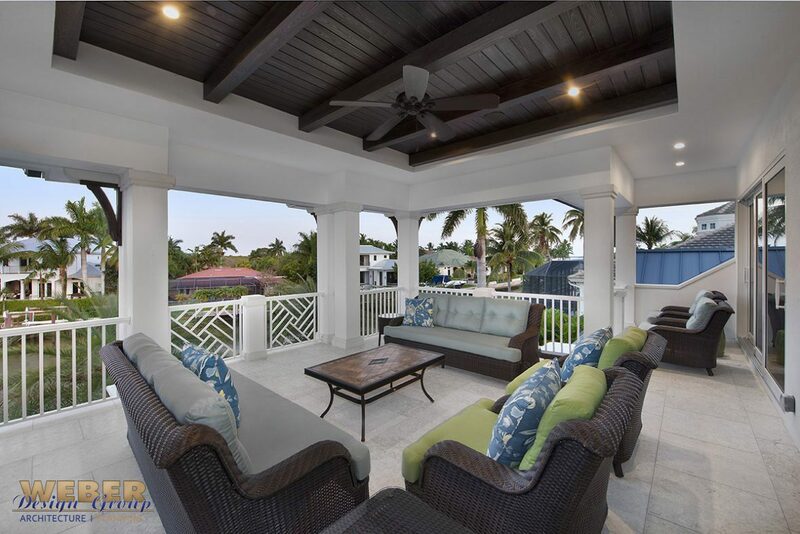 Inside, the living areas casually flow together, and a centrally located “magic” wet bar offers service from all directions. 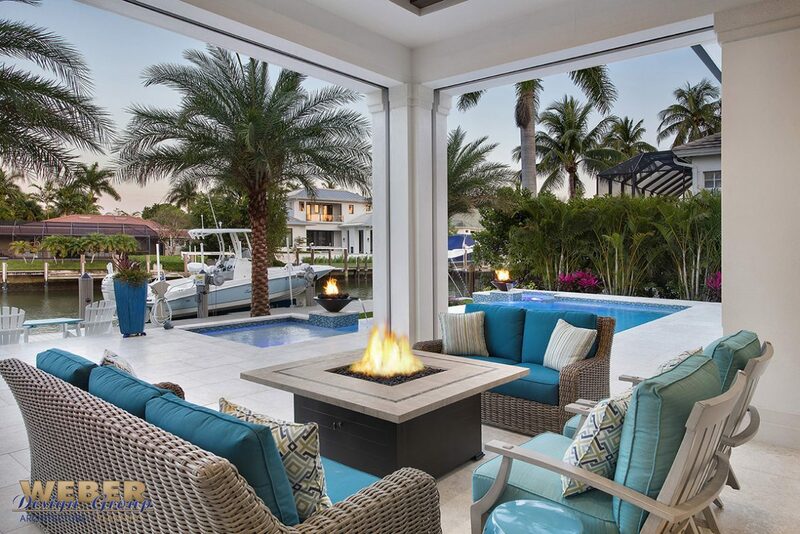 Outside, is a wonderful outdoor living area with an outdoor kitchen, an infinity edge pool with sun shelf, spa and fire bowls. 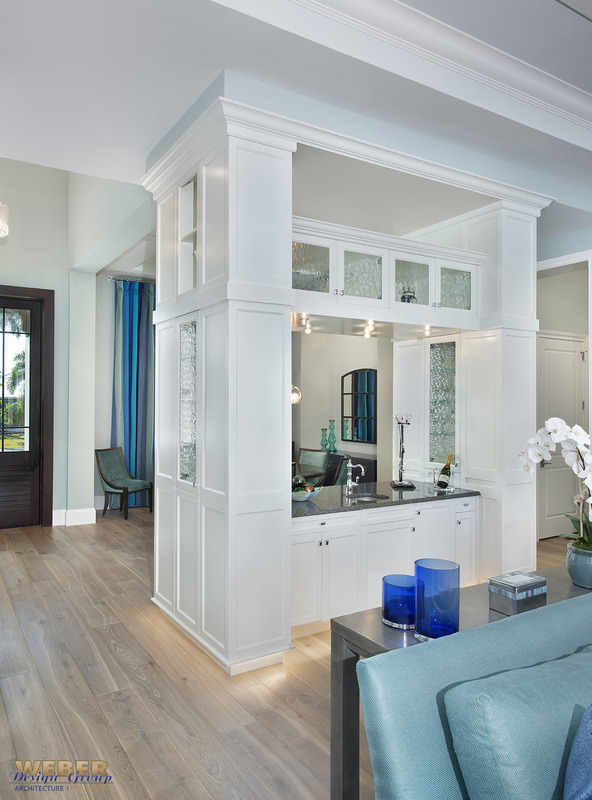 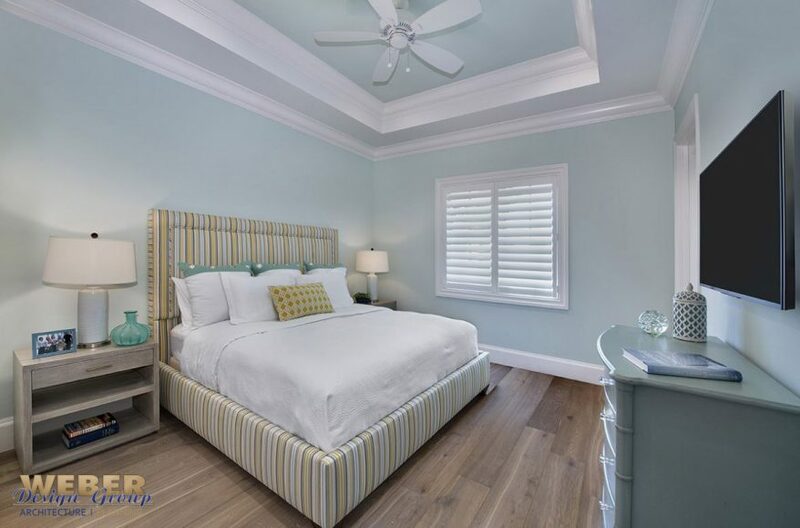 The posh master suite is situated for an optimal rear-oriented view of the water and access to the pool. 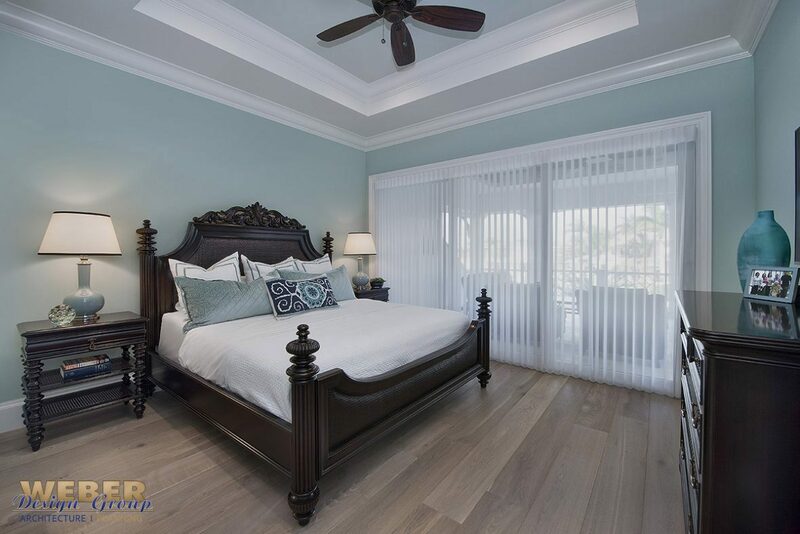 Upstairs, the home has three additional en-suite bedrooms, a game room, and wet bar. 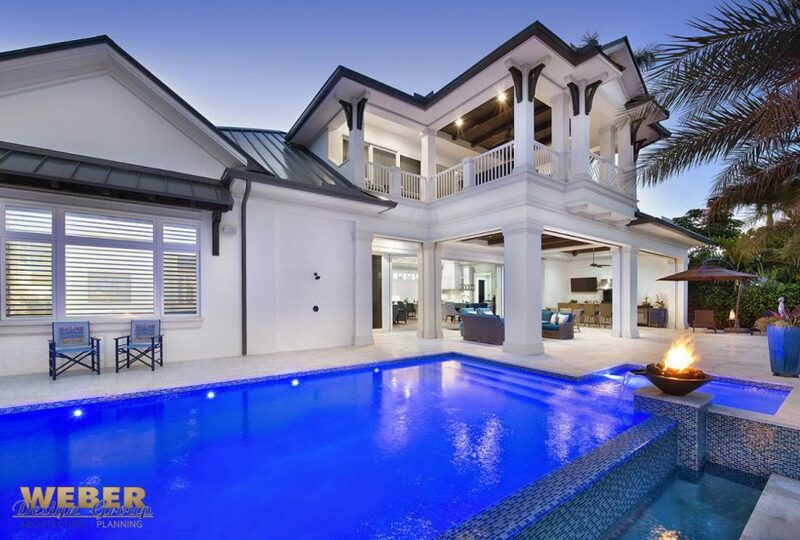 A large covered balcony with a cantilevered viewing area overlooks the pool and waterfront.